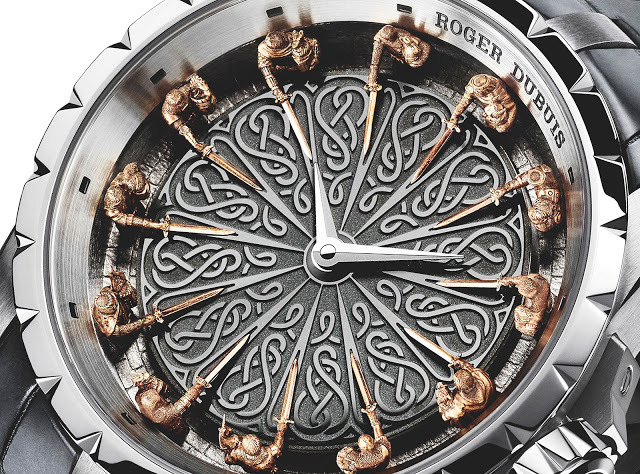 With 12 tiny knights for each hour around a black jade dial, the Knights of the Round Table II is inspired by Arthurian legend. 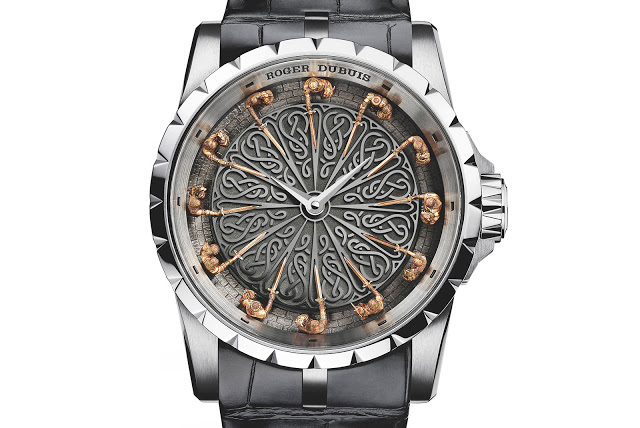 Drawing on the myth of the Knights of the Round Table, the new Excalibur wristwatch from Roger Dubuis features 12 tiny figures on the dial, standing around a table of black jade. 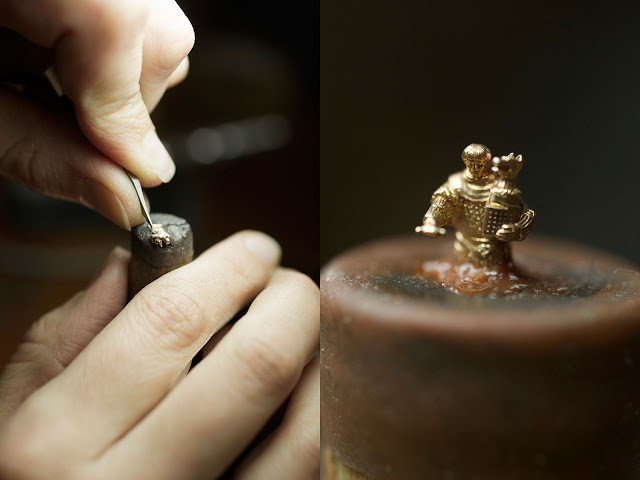 Standing just 6.5mm high, each knight is a different, with individual faces and outfits. The figures are cast in bronze then hand finished under a microscope, and installed around the black jade table engraved with a Celtic motif. They stand on a white gold ring engraved with cobblestones to mimic the interior of a castle. 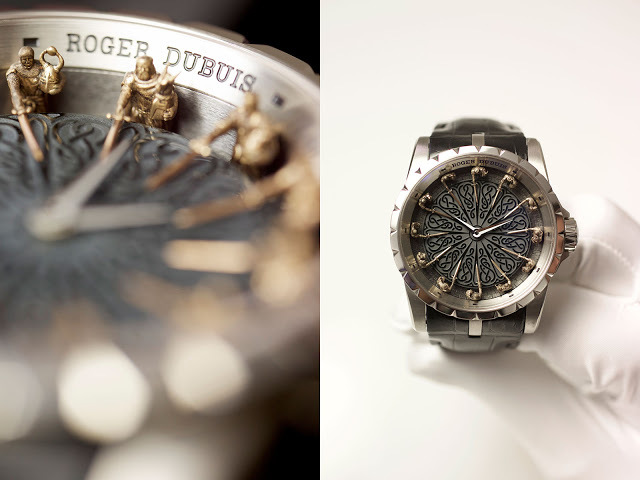 The white gold case measures 45mm in diameter, with the RD821 automatic movement inside. 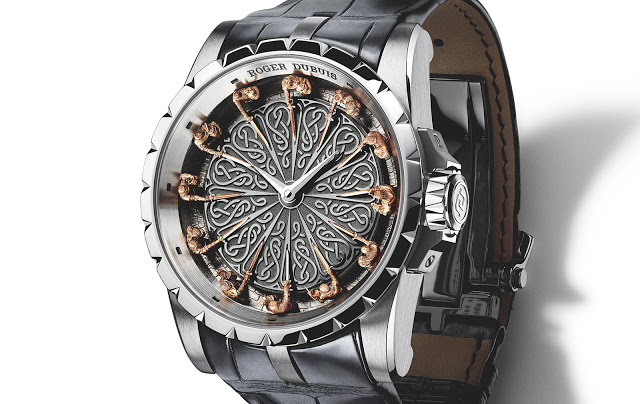 Made in a limited edition of 28 pieces, the Knights of the Round Table II will cost US$268,000.